I was more than content to admire masterpiece after masterpiece displayed in The Courtauld Gallery, a small, university museum on London’s Museum Mile. Then, cued by the upward gaze of another visitor, I glanced—then gawked—at the lavishly augmented and painted ceiling. 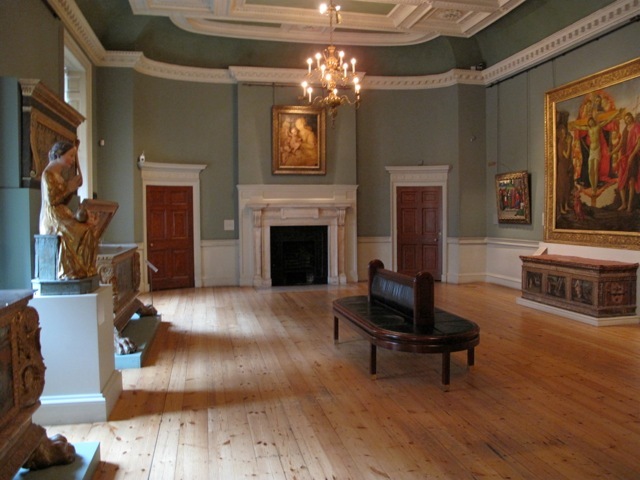 The Courtauld Gallery is housed in Somerset House, designed by Sir William Chambers, built between 1775 and 1801 to house the Royal Academy and other offices, and now part of the Courtauld Institute of Art. Chambers, one of England’s top architects, was charged with designing a “great public building… an object of national splendor.” The design alone is exquisite, but set against this backdrop is one of the world’s finest collections of Impressionist and Post-Impressionist art. In many museums, masterpieces crowds walls, vying for attention and overwhelming the viewer. Not so at the Courtauld. Works are displayed in a series of rooms on three floors. Each room is personal and yet formal, intimate and yet grand, a neoclassical confection that complements rather than competes with the art displayed. Exquisite period details, such as ceiling medallions and paintings, elaborate cornices, moldings, and fireplaces, and delicate apses and ornate friezes enrich the overall experience. A spiraling stone stairway, a work of art in its own right, connects the floors. The gallery’s founding collection was a gift from industrialist Samuel Courtauld, who began collecting art in 1922 and helped establish the Courtauld Institute in 1932. In many ways, Courtauld was a maverick. He purchased art that spoke to him personally rather than following accepted principles of the time. He favored French Impressionists and Post Impressionists, acquiring works by Monet, Van Gogh, Degas, Cézanne, Renoir, Seurat, and Gauguin, among others. 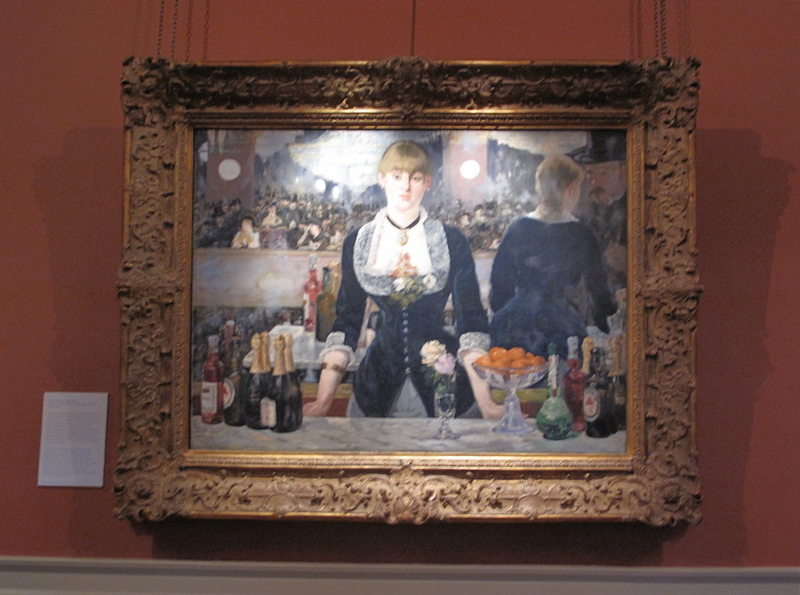 One of the most heralded works is Manet’s “A Bar at the Folies-Bergere,” painted one year before the artist’s death. It is widely considered the culmination of Manet’s interest in painting contemporary urban life. 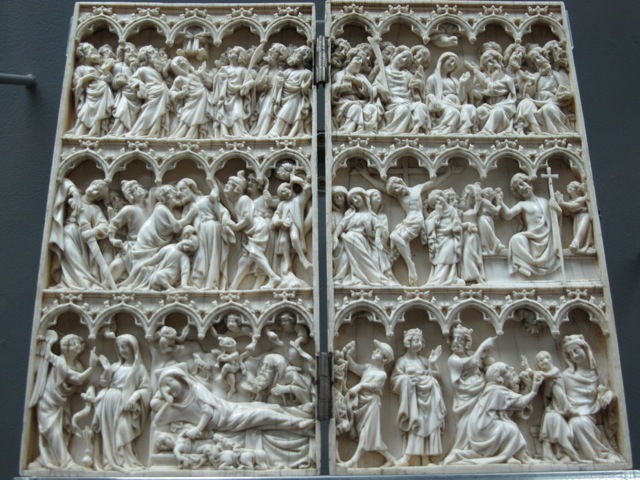 Critics call its composition a visual puzzle, with inconsistencies in the point of view. It’s hard not to be captivated in a morbid yet curious way by Van Gogh’s masterpiece “Self-Portrait with a Bandaged Ear,” painted in 1889, shortly after the master mutilated his right ear. Nor is it hard not to be delighted by viewing Degas’ paintings of dancers paired with his sculptures of the same or viewing “Montagne Sainte-Victoire,” painted by Cézanne in 1887 at the pinnacle of his career. While the Impressionists and Post-Impressionists garner the most attention, they’re not the only reason to visit. The gallery’s collection ranges from the early Renaissance to 20th-century Modernists, and in addition to paintings, it comprises more than 6,000 drawings and watercolors, 20,000 prints, decorative arts, sculpture, and furniture. Occupying the center of one room is a mid-17th-century harpsichord. The painted inner case depicts the story of David and Goliath, and both the instrument and its inner case are inlaid with ebony and ivory. 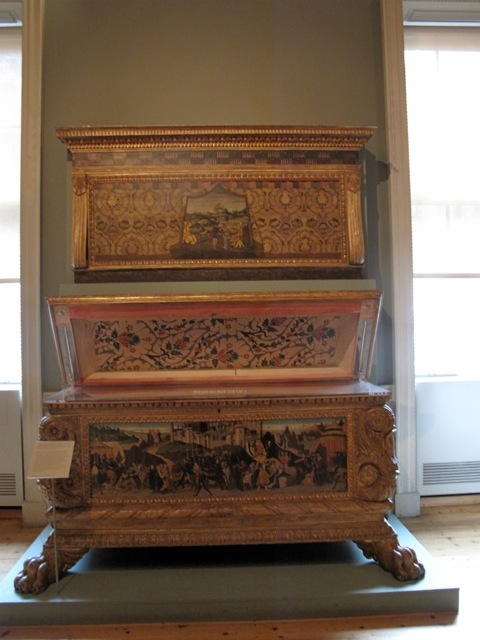 In another room, the late 15th-century Morelli-Nerli wedding chests are remarkable in that they’ve survived with their painted backboards and documentation. Crafted by Zanobi di Domenico and painted and gilded by Jacopo del Sellagio and Biagio d’Antonio, both are illustrated with families’ coats of arms as well as stories from ancient Rome intended to entertain and educate. Also earning repute is the museum’s collection of Rubens, part of a bequest by Count Antoine Seilern. Of note is the Flemish master’s family portrait of his friend Jan Brueghel the Elder with his wife and two children. The gallery has a significant collection of oil sketches by Rubens that show the artist working out ideas. One late-in-life landscape depicts his private estate by moonlight, and a close inspection shows that a mother and child originally in it were painted over. Other highlights enhanced by the architectural splendor of Somerset House include Gothic ivories; paintings by Bernardo Daddi, Giotto’s pupil, and Fra Angelico, the monk painter of Florence; “Adam and Eve,” painted in 1526 by Lucas Cranach the Elder; the Lamentation Triptych by the Master of Flemalle, a masterpiece of early Netherlandish painting; sculptures by Matisse and Rodin; and modern works that range from Matisse to Kandinsky, Kokoshanka to Sutherland.